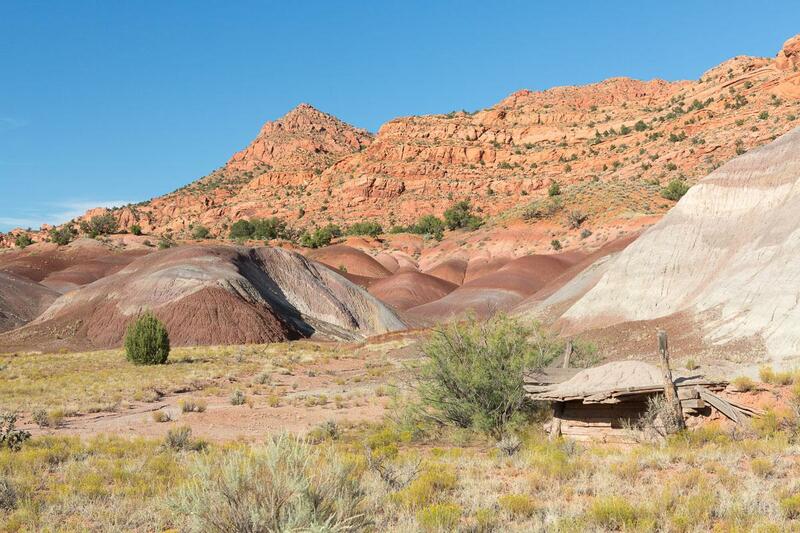 On House Rock Valley Road, there are still quite unknown places. 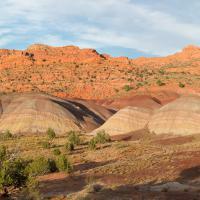 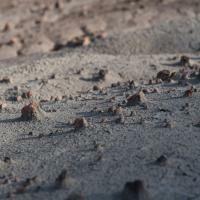 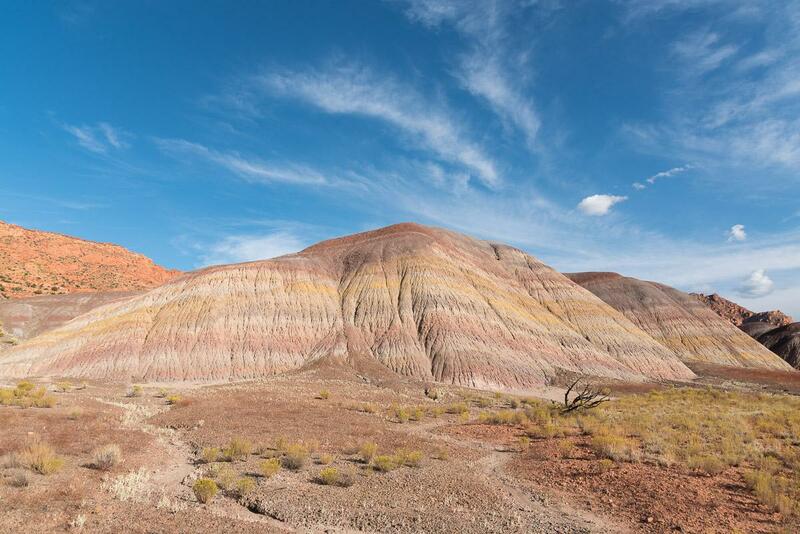 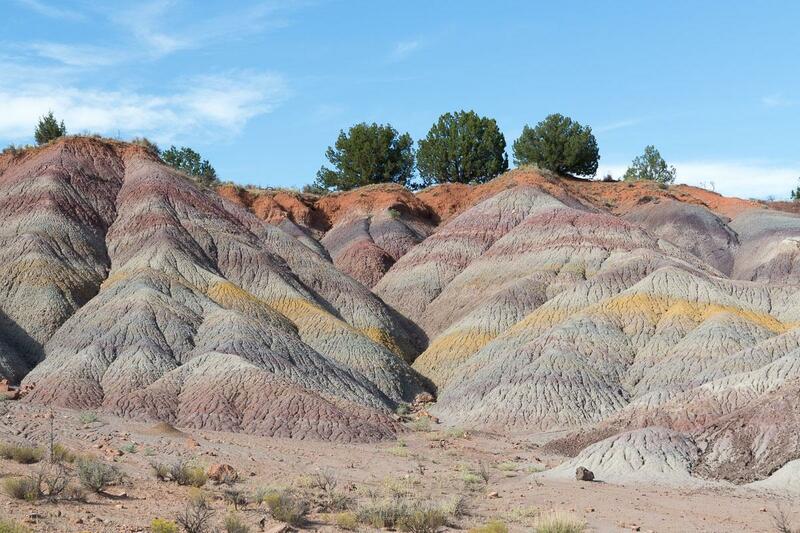 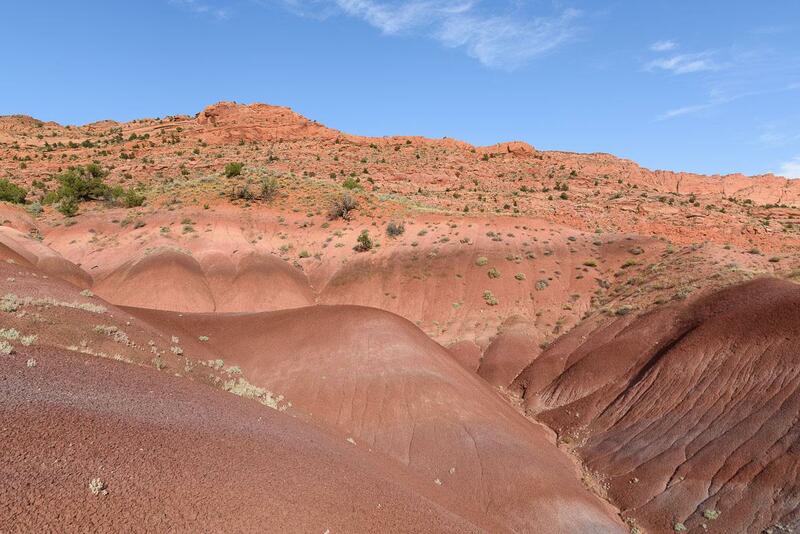 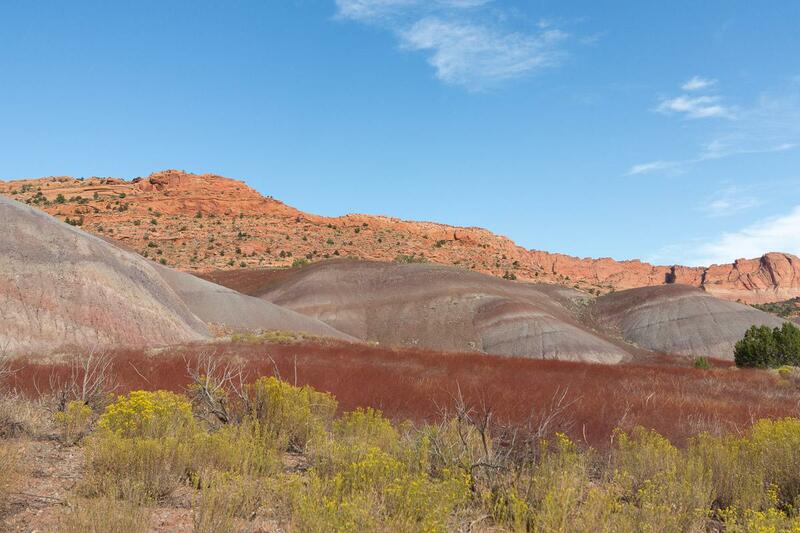 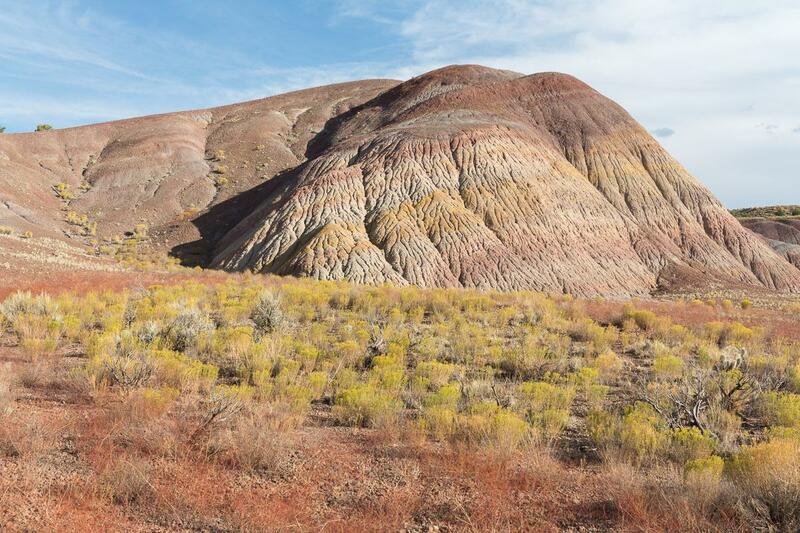 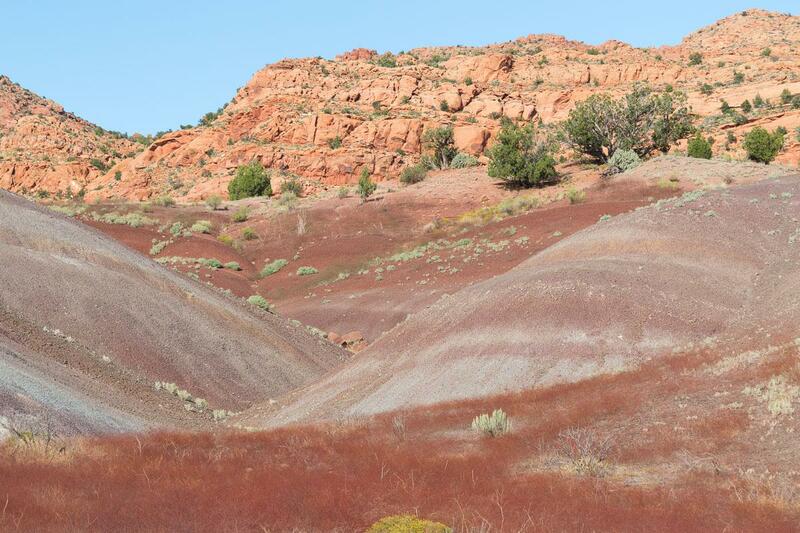 This is the case of Painted Desert, not to be confused with its big brother Painted Desert next to Petrified Forest National Park and its little brother Little Painted Desert. 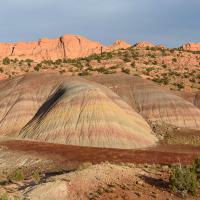 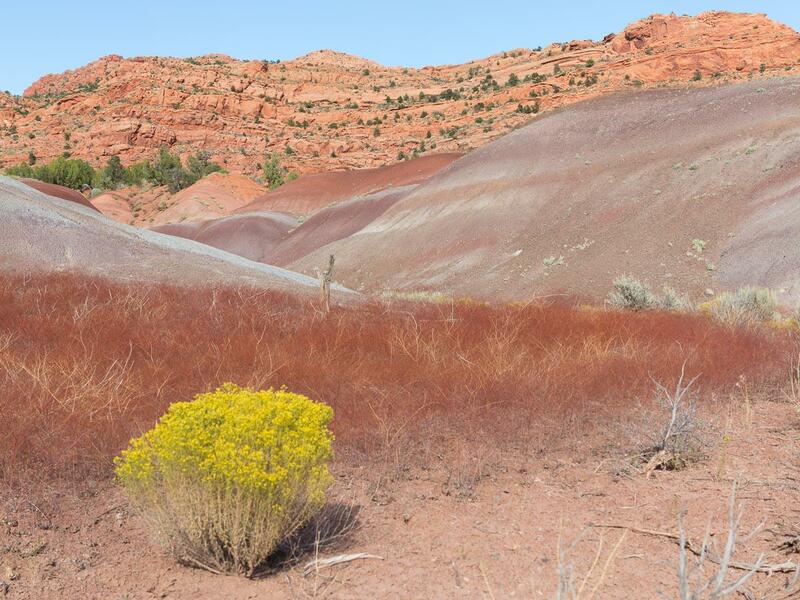 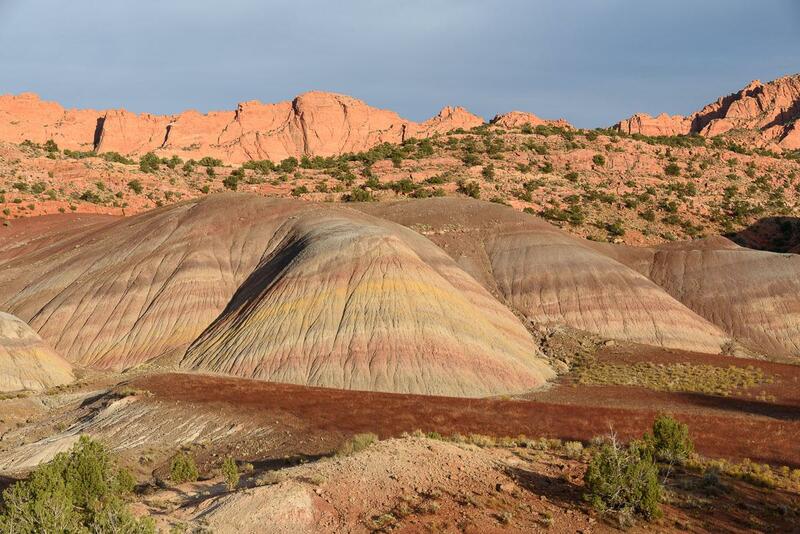 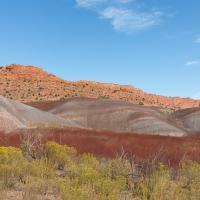 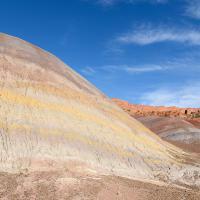 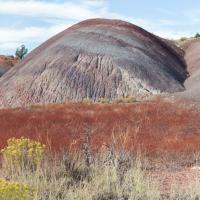 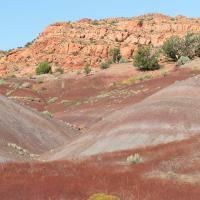 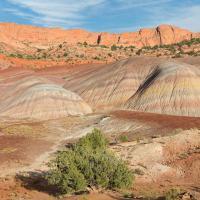 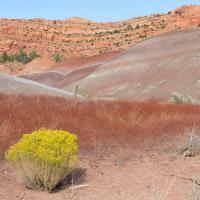 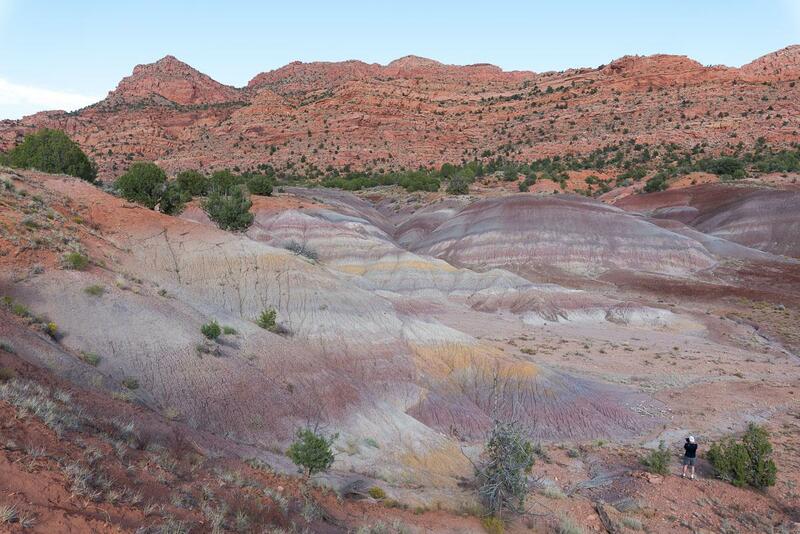 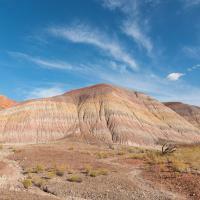 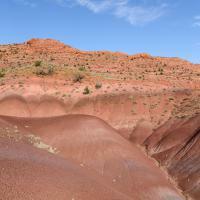 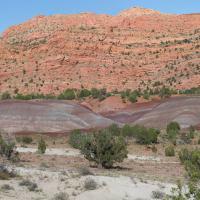 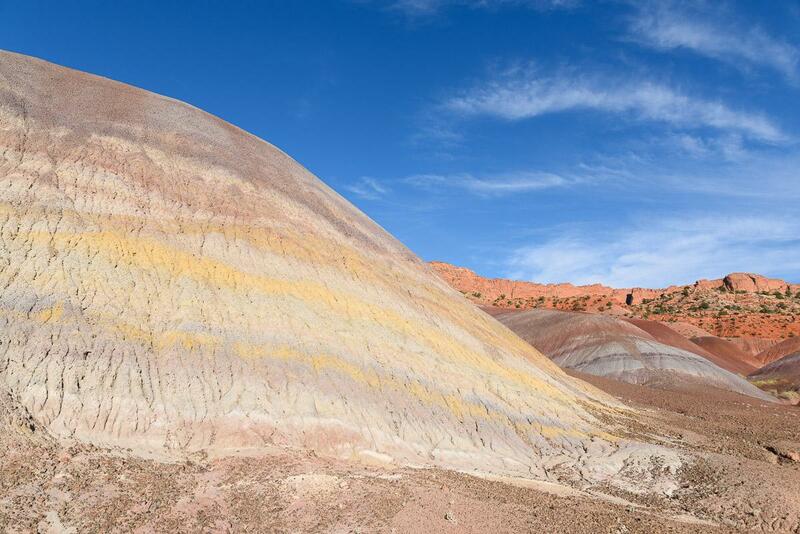 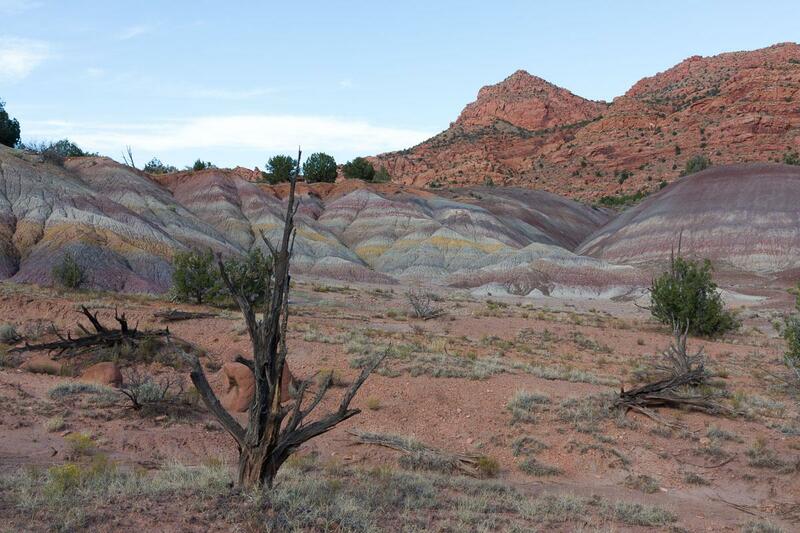 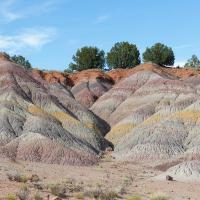 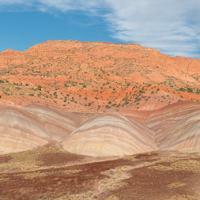 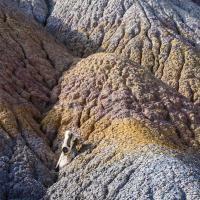 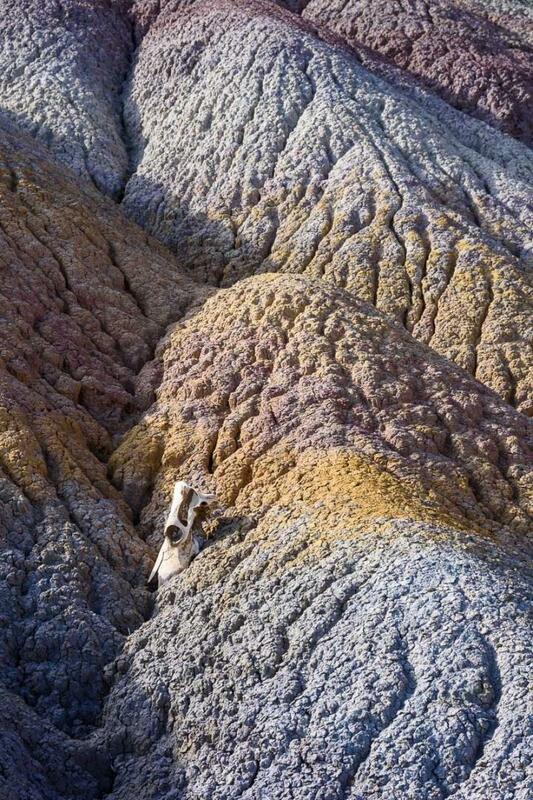 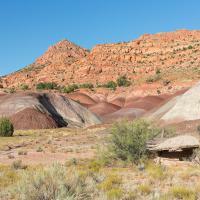 As its name suggests, it is colored badlands: yellow, pink, purple, gray. 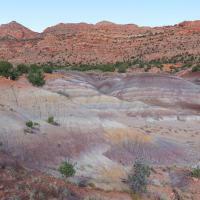 The place is even more beautiful at sunset. 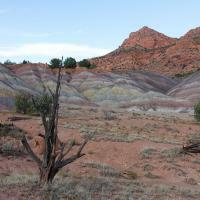 The hike, loop of 2,6 miles, is rather easy. 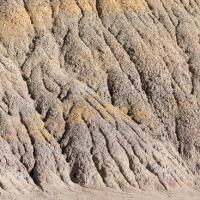 Access to the hills is following the sandy washes. 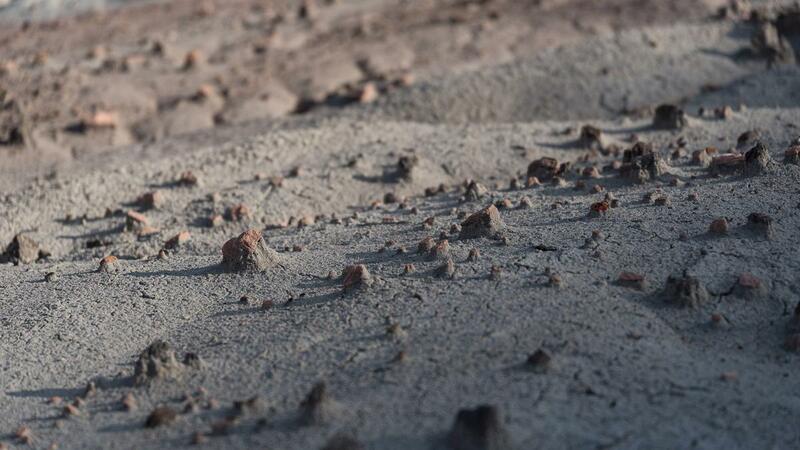 Then, it's free exploration: no path. 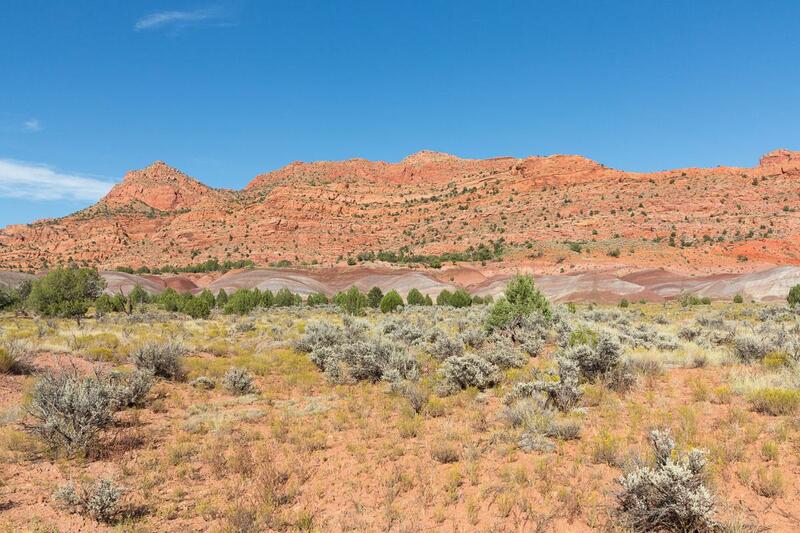 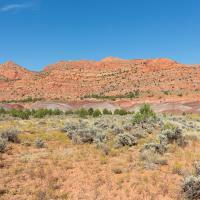 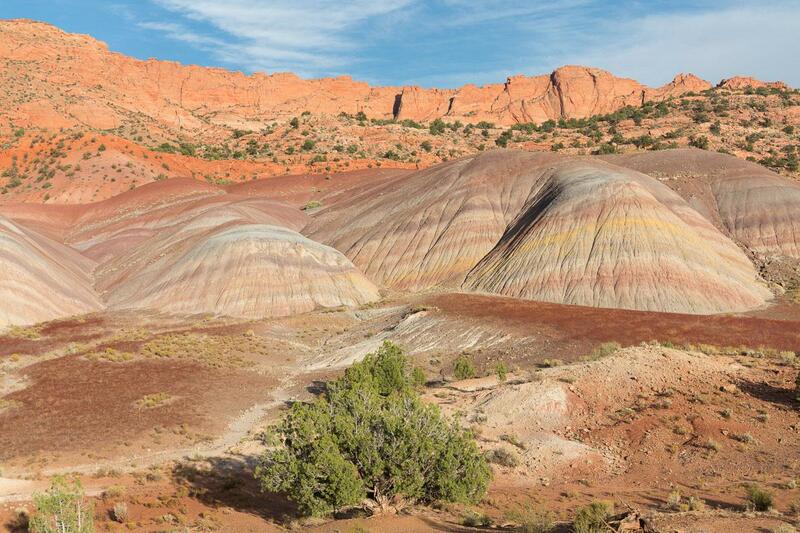 Access : between Page and Kanab, take the House Rock Valley Road for 12 miles and take the small track on the left. 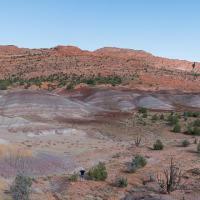 Park at GPS N36 ° 58 '11.2 "W112 ° 02' 04.1".